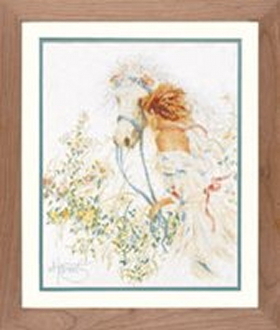 An exquisite counted cross stich design with a Lady and her horse surrounded by flowers. Artist: Willem Haenraets. Design size: 16"w x 20"h (39cm x 49cm).